Brookhaven - 2 laundry: main level mudroom & tiled master closet. MLS#21625363. CENTURY 21 Scheetz. Outside features mature trees and open spaces. MLS#21626043. CENTURY 21 Scheetz. Brookhaven - Located in Zionsville w/distinctive shops, restaurants & quaint historic brick Main Street! MLS#21624061. F.C. Tucker Company. 3 Car Garage. Great Value, 509k+ To Replicate! MLS#21626592. Keller Williams Indpls Metro N.
The Enclave - Large deck overlooks the backyard. Look no further! MLS#21622112. CENTURY 21 Scheetz. Eagles Nest - MLS#21626072. MYL Realty, LLC. Hillcrest - This is the VILLAGE GEM you've waited for! MLS#21624220. F.C. Tucker Company. 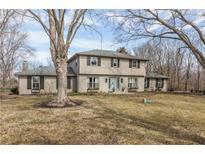 You won't want to miss this rare find for a great home on land in Zionsville. MLS#21626055. Mint2Sell Realty, Inc.. Built in 2003 this home needs a lot to make it move in ready but worth taking a look at. MLS#21625623. Owners.com. 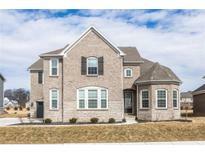 Blackstone - Centrally located between 465 & I-65 for an ez commute to anywhere. MLS#21625417. Carpenter, REALTORS®. 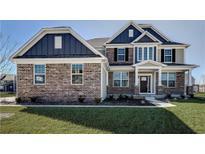 Allen Acres - Boasting 3/4 inch hardwoods in family room and all bedrooms, new vinyl flooring in both bathrooms with a full partially finished basement and new electrical panel. MLS#21625486. Keller Williams Indy Metro NE. Pleasantview Lane - FABULOUS backyard with pool and fountains. MLS#21619214. F.C. Tucker Company. Brookhaven - It doesn't end there...out back enjoy an extended patio & beautiful landscaping w/ a pond view. MLS#21622155. CENTURY 21 Scheetz. Neighborhood amenities include walking trails, tennis courts, pool & park. MLS#21622551. CENTURY 21 Scheetz. Home sits on a large .32 acre lot with water views in the backyard & is truly move-in ready. MLS#21619627. RE/MAX Advanced Realty.